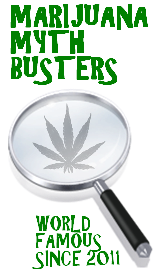 Marijuana Mythbusters » Answer this poll if you’ve ever coughed while smoking!!! This entry was posted by Mythbuster on June 8, 2011 at 10:37 pm, and is filed under Pot Polls. Follow any responses to this post through RSS 2.0.You can leave a response or trackback from your own site. I believe hands-down that there is something about a hit that makes one cough with the generalized feeling of a pain in the lungs as (as opposed a burning in the throat) that certainly gets me more stoned than had I not coughed. I read the findings of the investigation and am confused. The ‘myth’ is said to be busted in title, yet, to my understanding of what the author states in those findings it is actually CONFIRMED. It states that coughing does expand your lungs to expose surface area that would go untouched without that expansion caused by the cough. I’m pretty lit right now. I haven’t been feeling this good sine I got the device I’m vaping with. Just didn’t get that big a hit – not enough to truly enjoy it (like I’m doing now…wheee!). What was different today was that I coughed and hacked after ripping some. My only guess would be that, while coughing would undoubtedly expel most of the cannabis, the act of coughing might do something like open up more alveoli. Or it could be that a such a violent expulsion might ram to smoke against the lung lining getting more in your bloodstream. Keep on keepin’ on, brother! All of my roommates and I smoke and we all agree that we feel higher when we do cough. We believe it so strongly that when one of us does start coughing, someone will remind him to not fight it because it will get him higher. I’ve been browsing the web and a common rumor is that it opens your capillaries which helps the THC get observed into your blood stream. I have found that if you truly are coughing and take a hit on your very next inhale after the cough and hold it,then it will have a stronger effect. Definitely. It could have something to do with how your lungs open up when you cough. You cough when your lungs sense that they are being deprived of oxygen, when you cough the surface area of your lungs increases, the increased surface area allows for increased THC absorption. Over 77% of people say that coughing helps to get them more high. Awesome. Thank you to everyone who has voted in this poll so far. To vote in more polls, click on our Pot Polls tab at the top of the page.